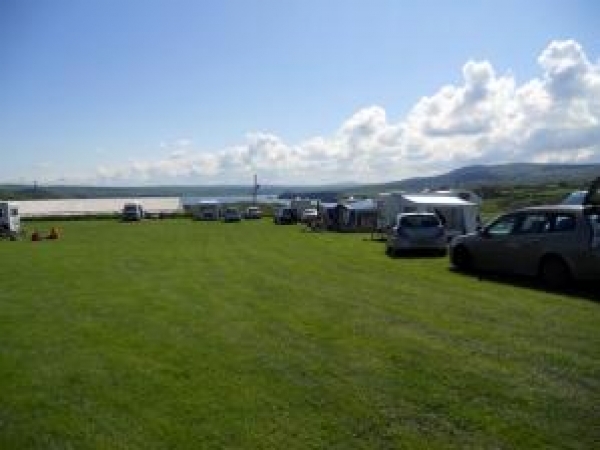 Small family run touring campsite situated on Dinas Island Farm (Dinas Head) with stunning views over Newport bay. The beaches of Cwm-yr-Eglwys and Pwllgwaelod within walking distance and the site is within the Pembrokeshire Coast National Park. On site facilities and electric hook-up available. Near Newport - a sandy composition 2.6 miles away.